Expires in 6d . Last validated 1wk ago . Used 6 times. Jizasu Khada I have tested this promo code and works perfectly. 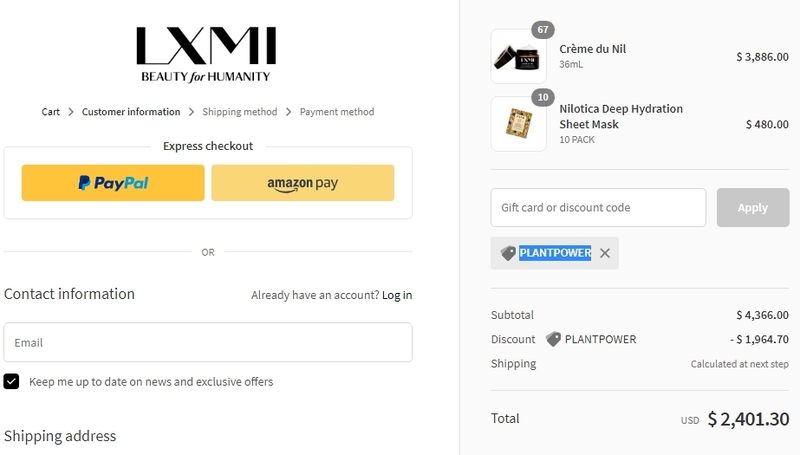 Just enter the page, shop one or more items and apply the promo code in the shopping cart to get an amazing discount on your order. 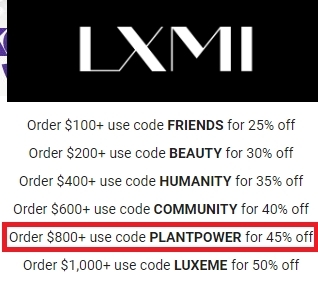 Reina Castrillo This deal works as described, enter the promotion code PLANTPOWER during checkout to receive 45% Off on Orders $800+ at LXMI (Site-Wide).